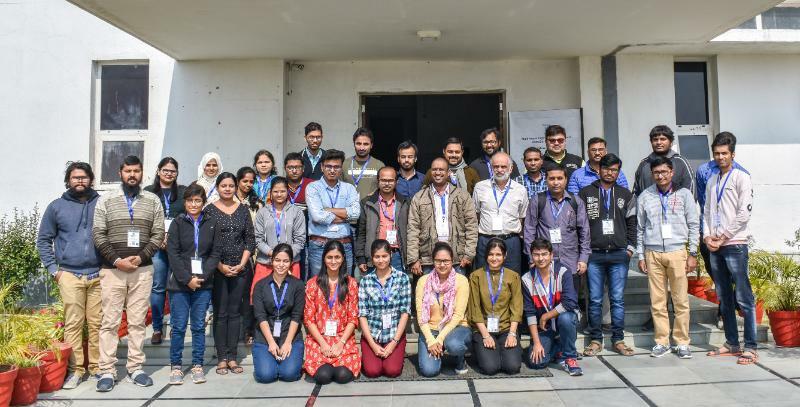 DAASE, IIT Indore organised a workshop titled "Multi-wavelength Sky Observations - AstroSat and Beyond" during February 3-9, 2019 in association with TIFR, Mumbai and ASSC, IUCAA, Pune. This event was one of the first scientific events conducted as a part of the 10-year anniversary celebration of IIT Indore. The event consisted of a 5-day workshop during which scientific sessions and hands-on data analysis session were carried out using data from LAXPC, SXT, CZTI and UVIT instruments on-board Astrosat. Prof. H. M Antia, Dr. Sudip Bhattacharyya, Dr. C. S. Stalin, Dr. Jayashree Roy, Dr. Md. Shah Alam, Dr. Sunil Chandra, Dr. Abhirup Datta, Dr. Bhargav Vaidya, Nilima Kamble, Kasturi Warang, Prajwel Joseph, and Ashish Devaraj were the speakers and tutors who introduced the participants to multi-wavelength astronomy. 25 participants comprising of PhD students, postdocs and university teachers from all over India took part in this workshop. 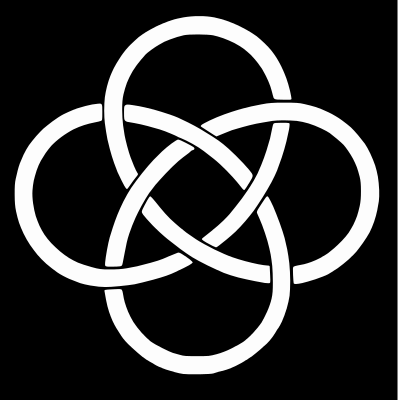 In the scientific sessions, a wide span of topics including neutron stars, black holes to galaxies, galaxy clusters, AGNs, jet simulations were discussed. A detailed introduction of the instruments and their working techniques was presented. During the hands-on session, the participants analyzed X-ray data from the black hole system Cygnus X-1 and the Crab pulsar to study the spectral and timing properties of the sources. They extracted images from the globular cluster NGC 188 and carried out photometry of the stellar data. Following the workshop, a symposium was conducted where the participants and a few experts presented their recent research on topics relevant to Astrosat science goals. A three days workshop on “Observing Universe with AstroSat” was conducted at Manipal Centre for Natural Sciences (MCNS), Manipal Academy of Higher Education (MAHE) during September 03-05, 2018. 50 participants were selected from 18 institutes/universities from 5 different states (Karnataka, Tamilnadu, Kerala, Maharashtra and West Bengal). The aim of this workshop is to motivate students to pursue higher studies in the field of observational astrophysics in the context of the Indian Space Program. India's first multiwavelength astronomical satellite AstroSat has been launched on 2015. AstroSat with it's multiwavelength observation capabilities has provided a unique platform to study and understand various galactic and extragalactic astrophysical sources. One of the most important X-ray payload onboard AstroSat is LAXPC. LAXPC operates between 3-80 KeV. UVIT onboard AstroSat observes the universe in broad UV band. In this workshop, the instrument overview, expected scientific outcome from these two instruments was introduced. Also, a detail analysis training session for these two instruments was carried out. Participants were informed that a feedback form will be sent end of December, 2018. 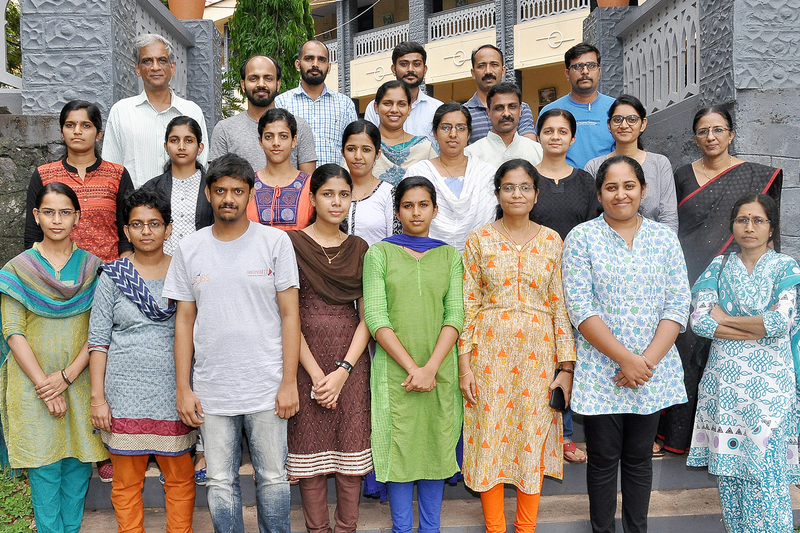 The department of Physics, Providence Women's college, Calicut in collaboration with IUCAA , Pune and Academy of Physics teachers(APT), Kerala, organized a School in X- ray Astronomy Data Analysis during 22-26 May 2018 for the benefit of teachers and research scholars of neighbouring institutions. The main aim of the school was to make the participants aware of the theoretical and observational aspects of X-ray astronomy and the present challenges in this field. Only twenty participants, were selected for the school and facilities were provided for the hands on experience of the complete data analysis of the X-ray payloads of Astrosat. Prof.Ranjeev Misra (IUCAA), Dr.Jithesh.V (IUCAA), Ms.Sneha Prakash( Christ, Banglore), and Ms. Savithri Ezhikode (St.Thomas college, Kolenchery) guided the group for the installation of various softwares and complete analysis of both LAXPC & SXT payloads. School in X- ray Astronomy Data Analysis workshop. 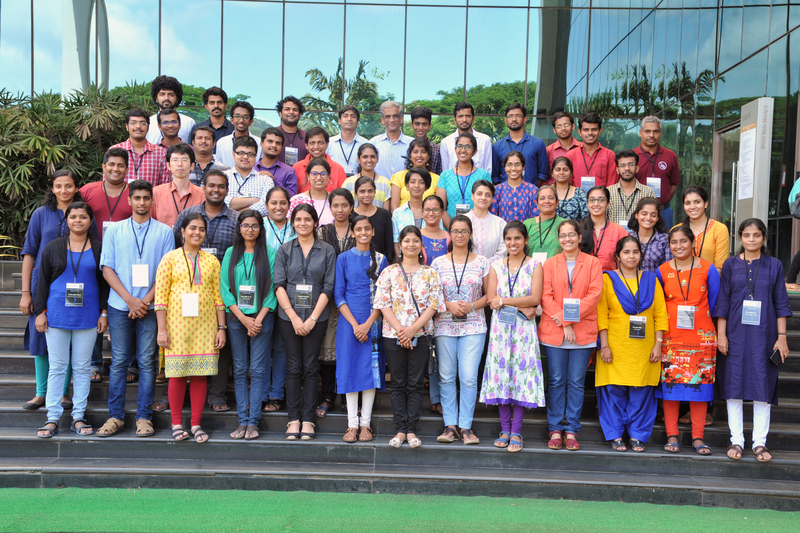 The workshop on Multi-wavelength Observations using AstroSat was conducted at the Department of Physics and Electronics, Christ University, Bengaluru, during December 14 - 16, 2017, and was mainly intended to young researchers and students, who were interested to pursue Astronomy and Astrophysics as their future career. There were 70 participants, consisting of B.Sc. and M.Sc. students, research scholars and faculty members, of whom 30 were from outstation. Main focus of the workshop was UVIT and LAXPC data analysis. Participants were introduced to new existing and upcoming mega projects like TMT, SKA, LIGO-India, etc. Multi-wavelength Observations Using AstroSat workshop at Christ University, Bengaluru. The ISRO sponsored AstroSat Science Support Cell, ASSC (http://astrosat-ssc.iucaa.in/ ) held an intensive workshop at IUCAA during November 13-26, 2017. The focus of the workshop was on analysis of data from the four pointing instruments on board AstroSat namely, UVIT, SXT, LAXPC and CZTI. Along with lectures on the instruments and their Science goals, the primary part of the workshop was hands-on data analysis sessions where participants analyzed data under the supervision of experts. The workshop was targeted towards Ph.D students, postdocs, faculty members and scientists who plan to analyse AstroSat data. More than 50 participants attended the workshop from different parts of the country as well as from abroad. The participants also provided feedback on AstroSat software and suggestions for improvement. 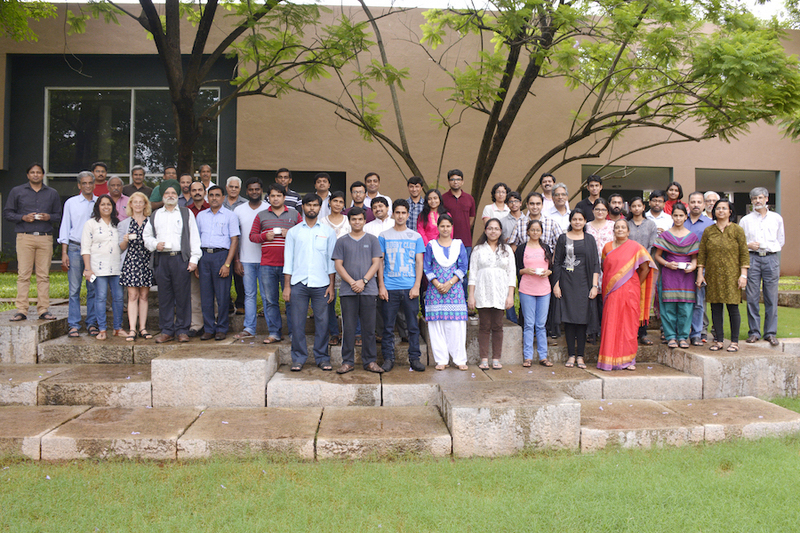 AstroSat Data analysis workshop at IUCAA, Pune. A workshop related to AstroSat early science results and data analysis was held in ARIES, Nainital during 08-11 August 2017. The workshop was sponsored by AstroSat Science Support Cell (ASSC) and ARIES. The workshop was aimed at attracting students from Northern India where such activities are limited. The workshop received an overwhelming response from Ph. D. students. 26 outstation participants were selected for the workshop out of which 22 students attended the workshop. In addition to this, about 15 Ph. D. students and faculties from ARIES also participated in the workshop. Travel and local hospitality was provided to the participants. A welcome address was given by Dr. A. K. Pandey, Director, ARIES. Prof. P. C. Agarwal was also present during the inaugural ceremony of the workshop and motivated the young students. He emphasised on the wealth of data that AstroSat will be generating and the need of involving young researchers to work with the data. The workshop was divided into lectures and hands-on data analysis sessions for UVIT and LAXPC payloads onboard AstroSat. Two to three science lectures were delivered by scientists in the morning sessions of the workshop which was later followed by in-depth data analysis sessions. Prof. Ranjeev Misra and Dr. Anjali Rao led the LAXPC data analysis sessions. The UVIT sessions were led by Dr. Koshy George. The feedback of the workshop was good and it was suggested that more such workshops be organised to foster interest amongst the students. The workshop ended with a note of thanks. AstroSat data analysis workshop at ARIES, Nainital. The workshop was conducted at Tezpur University, Assam, during 3 - 5 May, 2017. 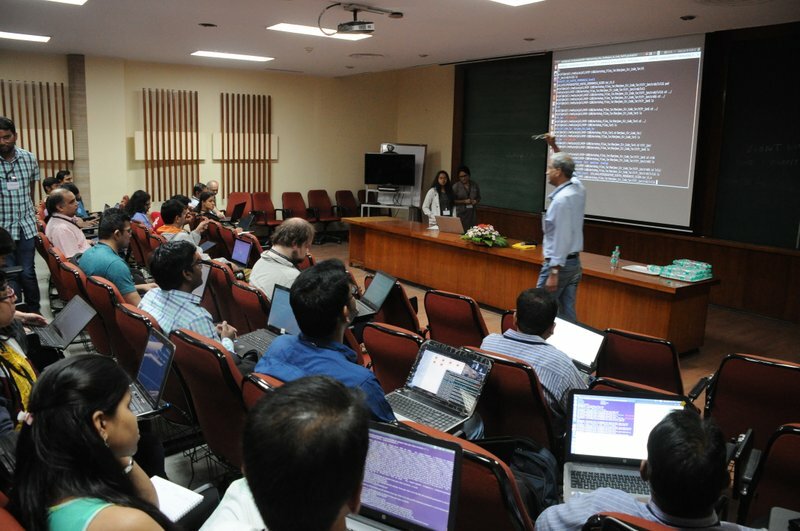 The main aim of this workshop was to provide a hands-on experience of AstroSat data analysis to the participants. A total of 46 participants from all over the country attended the workshop with major participation from the north-eastern region. The participants were from Assam Don Bosco University, ARIES Nainital, Assam University Silchar, Gauhati University Guwahati, etc. The emphasis of the workshop was to provide hands-on experience to the participants. The participants used HEASOFT and packages with-in to understand the physics of Pulsars and Black Holes. 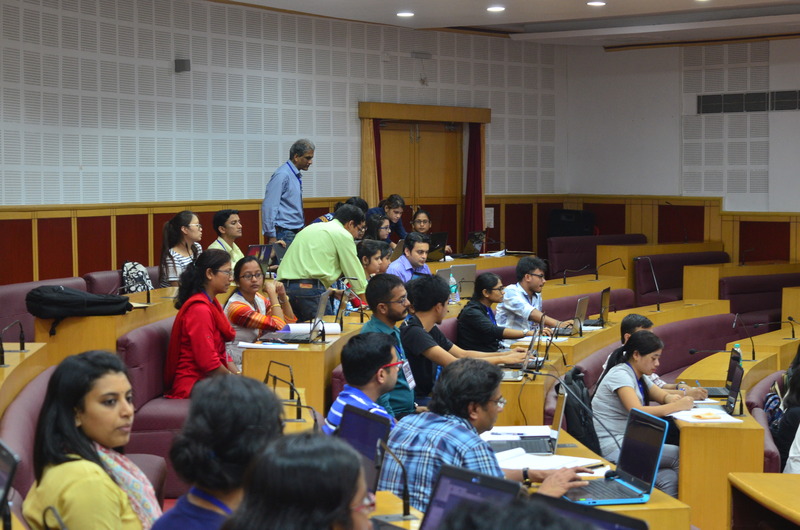 The participants of the workshop had an unique experience of handling ASTROSAT data. On the final day of the workshop, an assignment session was organized where participants were asked to analyze a new set of data. Participants being trained in AstroSat Data analysis at Tezpur, Assam. 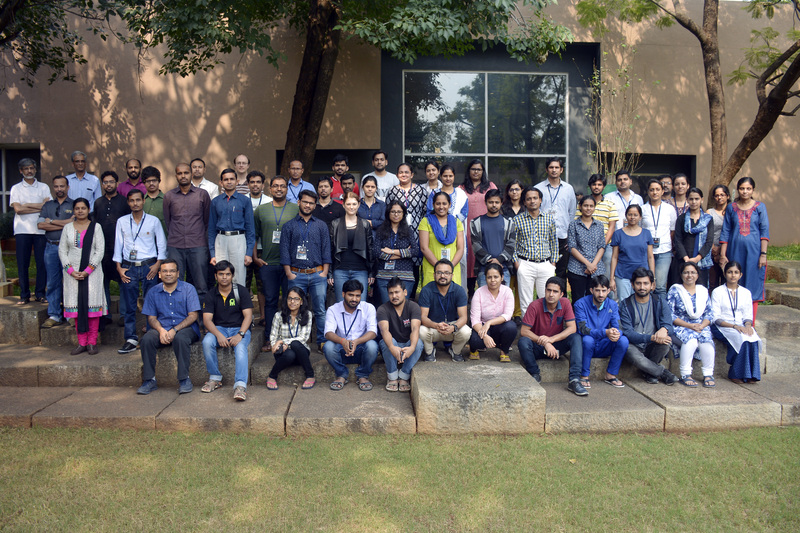 A workshop to inform and train young astronomers about LAXPC data analysis was undertaken at TIFR, in January 18-21, 2017. About 30 scientists, consisting of Ph.D students, postdocs and young faculty members from all over the country participated in this workshop. The details and nuances of the complex analysis was shown during hands-on sessions where the participants analyzed sample data from the LAXPC. The sessions were conducted by members of the lAXPC Science team and ASSC personnel. In collaboration with the Association of Physics Teachers (APT), Kerala and Providence College a three day workshop was help in Kozikhode, Kerala to inform teachers and students of the region about AstroSat and the potential to use AstroSat data for both research and training in the form of projects at the M.Sc. level. More than 30 participants attended the workshop where they given introductory lectures on X-ray astronomy and AstroSat instruments. Hands on sessions were arranged where the participants analyzed sample AstroSat LAXPC data. 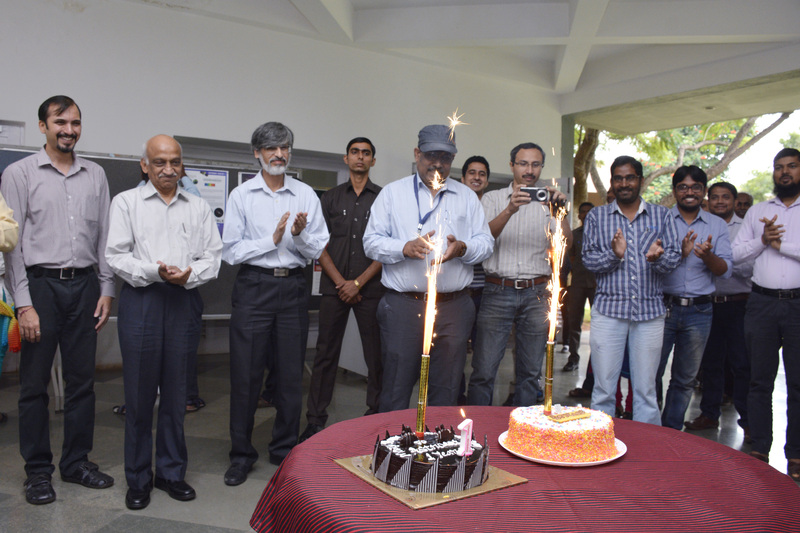 On Sept 28, 2016, AstroSat completed its first year of successful operation. To celebrate the occasion, a one day meeting was organised at IUCAA, Pune on Thursday, Sept 29 2016, to highlight the technical and scientific achievements of the Observatory. In the morning , the Chairman, ISRO, Dr. Kiran Kumar, Director, PRL Dr. Tapan Mishra and AstroSat PI, Dr. S. Seetha visited the AstroSat Science Support Cell where they were shown how the cell is equipped to analyze the data from different AstroSat payloads and the working of the AstroSat Proposal Processing System (APPS). They also visited the IUCAA laboratory and were shown the laboratory model for the Solar Ultraviolet Imaging Telescope (SUIT) instrument that is scheduled to fly on onboard the Aditya-1 mission. The meeting started with a welcome by the IUCAA Director and an introduction by Prof. P. Agrawal. The Chairman, ISRO delivered the keynote address and dedicated the Astrosat Science Support Cell (http://astrosat-ssc.iucaa.in/ ) hosted at IUCAA. This was followed by an official release of AstroSat outreach posters. The first scientific results and the future scope of the satellite was presented by the payload managers of the different instruments and in the afternoon, there was a panel discussion on the future of Indian Space Astronomy. The meeting was attended by several dignitaries from ISRO and other institutes from all over the country who have been involved with AstroSat. 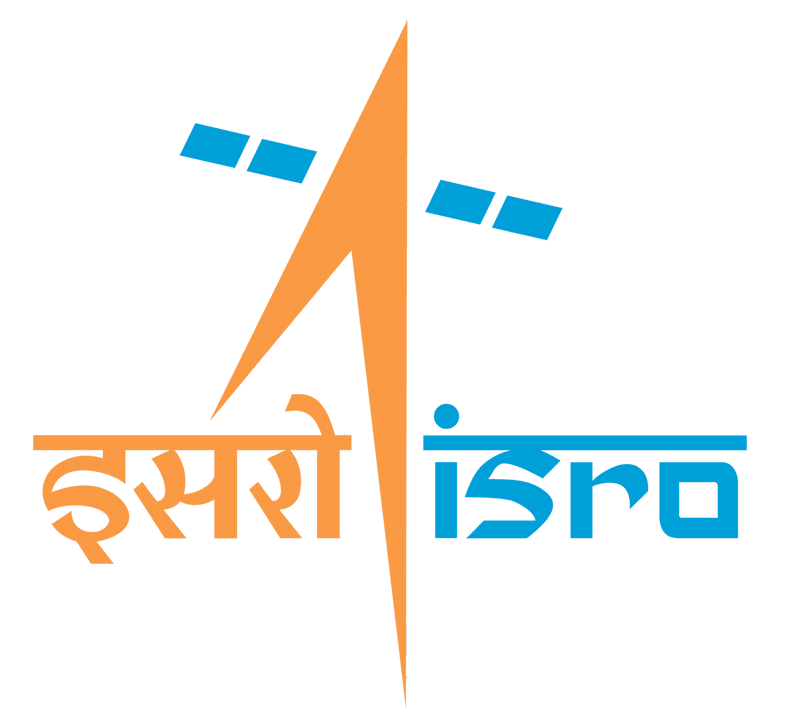 The first Announcement of Opportunity (AO-1) for Indian Scientists to propose for AstroSat observations was announced by ISRO with a deadline for submission on July 29, 2016. In this context. the ASSC held its inaugural workshop on "AstroSat AO Proposal submission: guidelines and technical issues" from 13 to 14 July 2016 at IUCAA, Pune. The meeting had overview talks on AstroSat and its payloads, with emphasis on the results obtained during the performance verification phase. A key element of the workshop was a set of extensive demonstration sessions where the participants were shown in a step by step manner how to propose for AstroSat observations and in particular the choice of how to configure each instrument in order to optimize the Science output. There were also discussion forums where the participants raised queries and concerns, which were addressed by the experts. Some of the key speakers for the workshop were Dr. S. Seetha (ISRO), Profs. J. S. Yadav (TIFR), K. P. Singh (TIFR) A. R. Rao (TIFR), S. N. Tandon (IUCAA,IIA), S K. Ghosh (NCRA), D. Bhattacharya (IUCAA) and G. C. Dewangan (IUCAA).